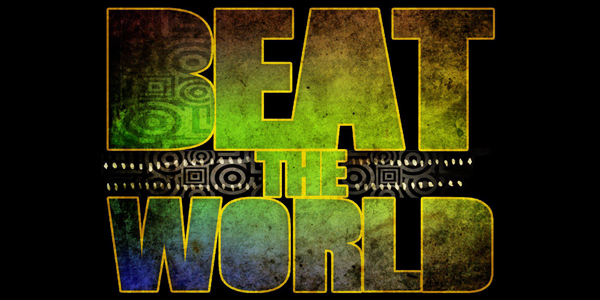 Beat The World is the longest running world music radio show on CJLO. We focus on beats, eats & culture from around the world! From Afrobeat to Zouk stopping by Angola, Brazil, Colombia, Cuba, Egypt, Ghana, Gabon, Nigeria, Haiti, Jamaica, Trinidad & Tobago, Barbados, Portugal, Spain, Morocco, Congo, Niger, Nigeria, Kenya, Mozambique, Thailand, Philippines, Cambodia, Ethiopia, India, Australia, Zimbabwe, and South Africa along the way! Founded in 2003 by Kelly "Sugarface Nene" Belfo and now hosted by Neil "Mr Lalla" every Saturday 12pm-2pm E.S.T on www.cjlo.com (click listen online) We also promote talented Montréal artists and works closely with festivals such as Festival International Nuits D'Afrique, MMM - Musique Multi-Montreal, Reggae Festival Montreal and Mundial Montreal. Beat The World has interviewed international stars such as Nneka, Ziggy Marley, Boukman Eksperyans, Magic System, Hossam Ramzy, Habib Koité and Tiken Jah Fakoly and wants to hear from YOU! Beat The World is now recognized on World Music Network. They have an amazing collection of the best of world music. Look for their world famous "A Rough Guide To". Listen for CD and concert ticket giveaways! Even if I don't happen to give anything away that day, call or text me at the DJ booth (514-848-7471) and I just might give you something anyway!